1.1 In the Mekong sub-region, prolonged dry weather led to an escalation of hotspot activities in Cambodia. A build-up of smoke haze was observed around persistent hotspot clusters in Cambodia and smoke haze was blown westward toward Thailand. In Thailand, isolated hotspots with localised smoke plumes were also observed. In the southern ASEAN region, hotspot activities were subdued under the prevailing wet conditions. 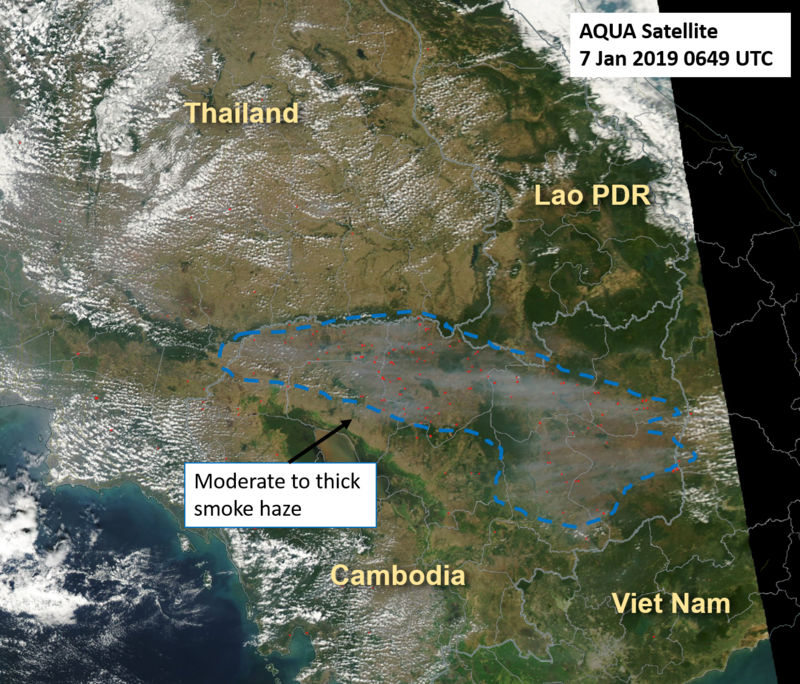 Figures 1: AQUA satellite image on 7 Jan 2019 shows moderate to dense smoke haze observed in Cambodia. 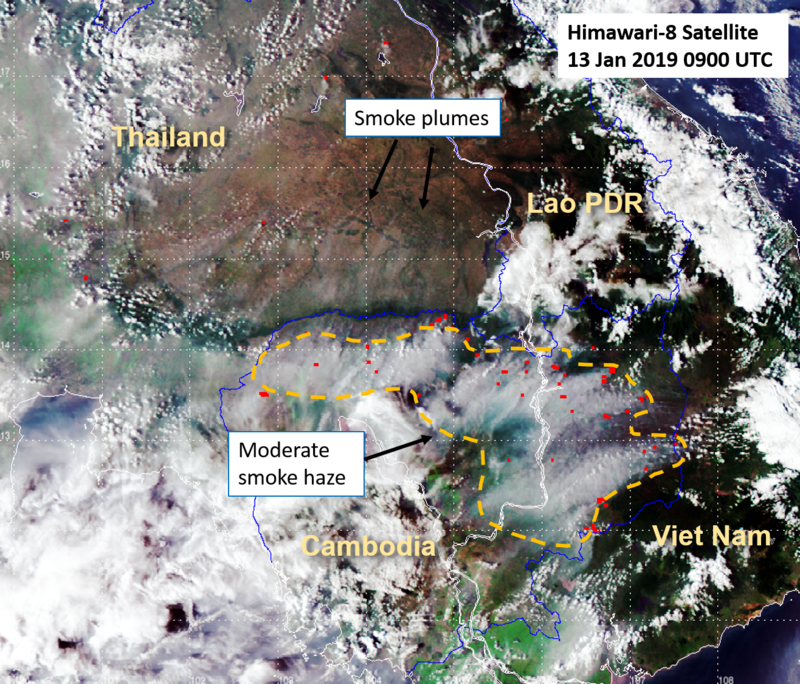 Figures 2: Himawari-8 satellite image on 13 Jan 2019 shows moderate smoke haze observed in Cambodia. Localized smoke plumes were also observed in the vicinity of isolated hotspots in northeastern Thailand.